Earlier this week it was announced Hellblade: Senua’s Sacrifice was coming to Xbox One following a few months of PS4 console exclusivity, and that the game would be getting the usual compliment of Xbox One X bells and whistles. The X enhancements certainly sounded good, but, of course, seeing is believing, so developer Ninja Theory has released a new 4K Xbox One X Hellblade trailer. Check it out, below. 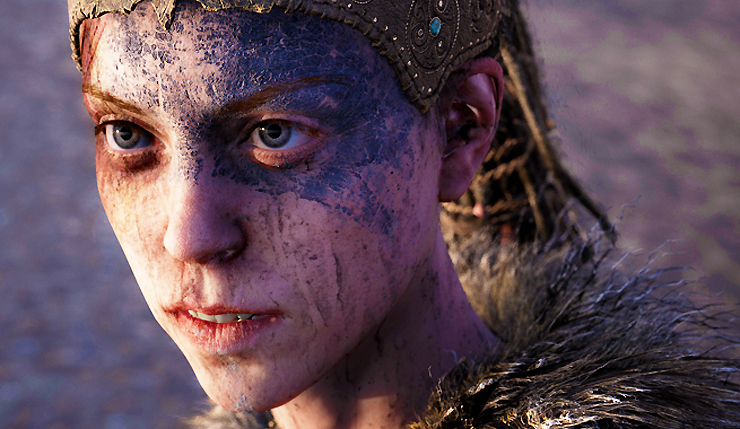 For those who missed the initial announcement, the Xbox One X version of Hellblade will offer three graphics options – Enhanced Visuals mode adds new effects and ups the graphical fidelity, High-Framerate mode boosts the game to 60fps, and High-Resolution mode runs the game at dynamic resolutions of up to 4K. Presumably, the above trailer was captured using high-resolution mode, although it looks like there’s some visual enhancements on display as well (the lighting definitely looks improved in some scenes). Perhaps Ninja Theory has just given the game a general touch up for its Xbox debut, or maybe they used a mixture of the different modes for the trailer. Hellblade: Senua’s Sacrifice is currently available on PC and PS4. The nightmare comes to Xbox One on April 11.